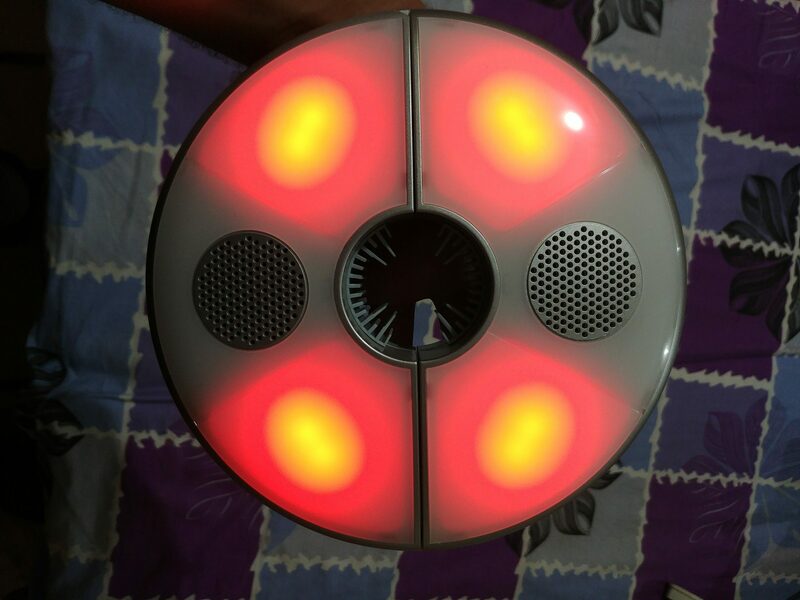 Amazing Bluetooth Speaker in this price range with RGB COlor Lighting and Dual Speakers with 4000mAh of Battery. Read the full review to know more! As we know the future is wireless, why not start looking out for the best portable electronics from now! Speakers with Aux Cable are getting less popular and Bluetooth Speakers are gaining a lot of popularity now. 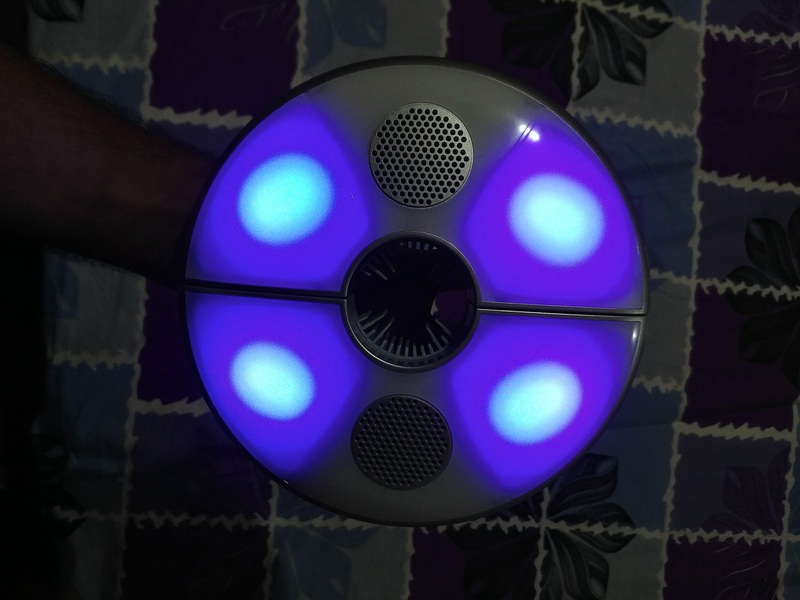 So we decided to find the best Bluetooth speaker which is bang for the buck under the $50 price point and here we are. Before jumping directly on the best portable speaker here are some things that cannot be done via normal speakers. No need to carry AUX Cable. 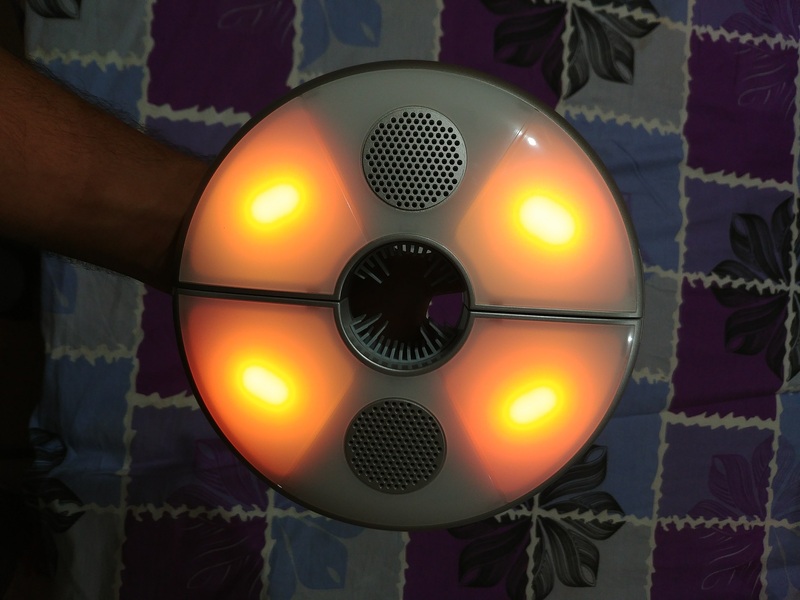 Inbuilt batteries can easily last few hours and Bluetooth speaker can also be used while plugged in. Can be used wirelessly in the short distance making it easier to access and use. Hands-free phone calls if supported. If you know more reasons to go for a Bluetooth speaker we will love to hear it. Let us know in the comments! 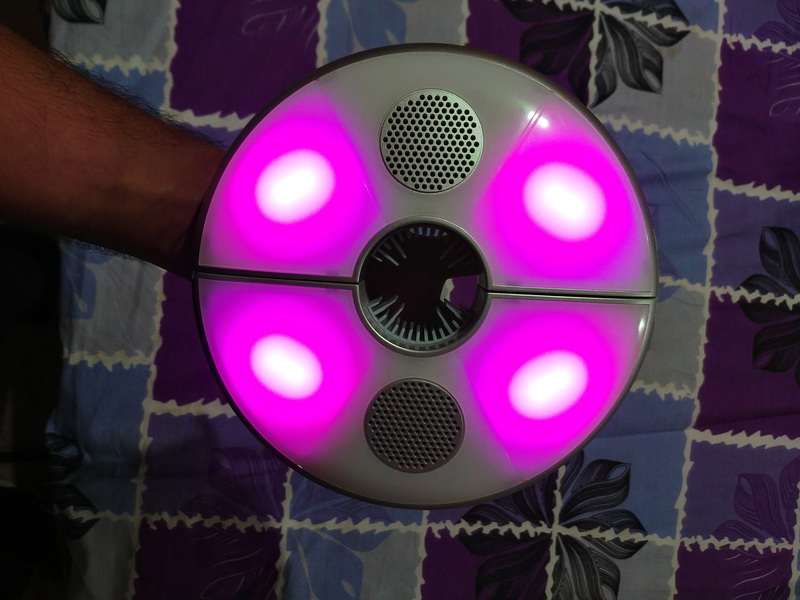 So now let’s hop onto the device which we consider the best portable Bluetooth speaker and it is the Kingso Umbrella Light Bluetooth Speaker. We will try to cover every point that you will need to make your final purchase decision and here we go! Kingso Umbrella Light design is compelling and aesthetically appealing. The fact that it can be mounted on a pipe or anything is just awesome. 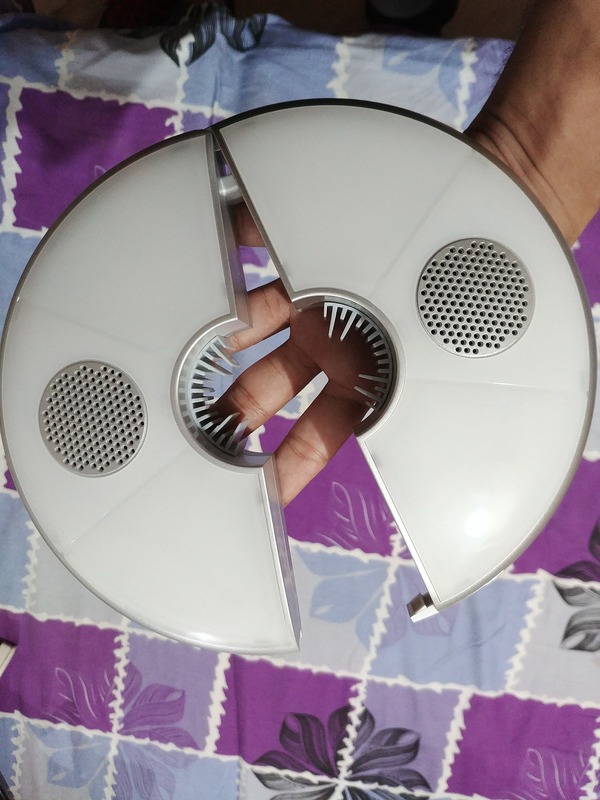 With a little push to the button on the side, the speaker can open from the side so that you can insert any object in the hole at the middle. 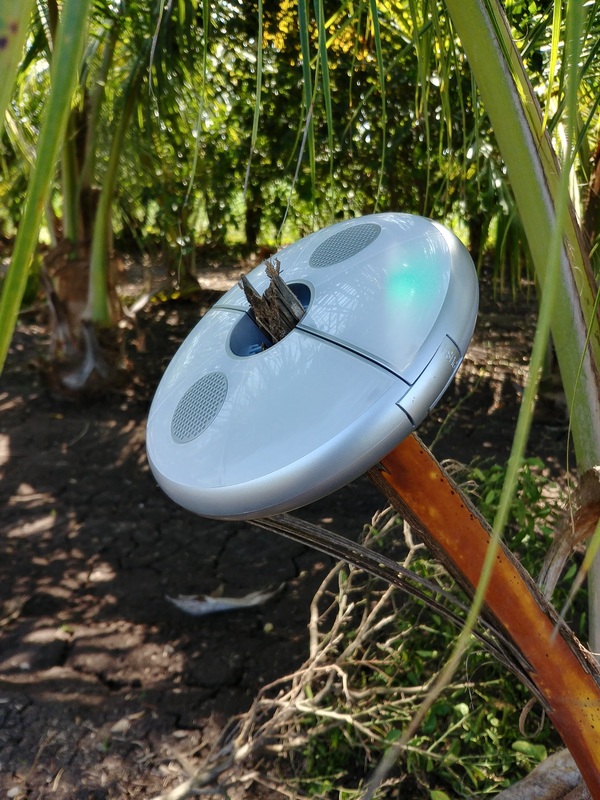 Here in this photo, we have mounted it to the coconut tree while relaxing under the shadow at the Farm House. 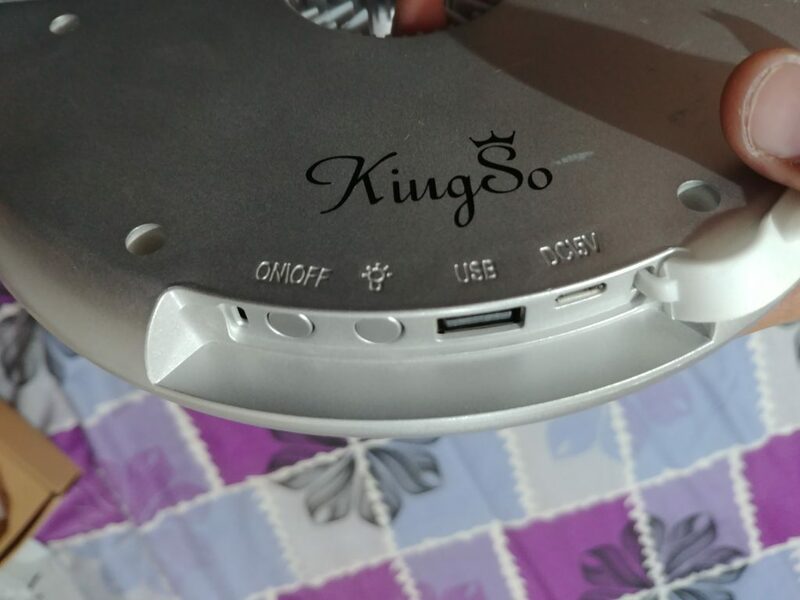 Kingso Bluetooth Speaker is packed with Bluetooth 3.0 with following profiles supported: HSP, HFP, A2DP, and AVRCP. It has a typical range of 10 meters or 33 feets. We experienced no sound distortions while being in the stated range. We are using LG G6 for the audio playback. There is only one thing that we can complain about the connectivity. And that is whenever you turn on the Bluetooth speaker it will start to look for pairing device. So if your phone isn’t connected to it then someone else can easily connect to it without your permission. Therefore it should have another button specially for pairing devices. For something that is this compact considering all the things that it comes packed with, we were amazed by the sound quality. Even on the loudest volume the sound and music come out to be perfectly great. Although the sound quality is not better than the JBL speakers but last time we checked it costs a lot more than $50. The only thing that we found lacking is a little bass boost. You can easily play or pause the music by pressing the power button for a second. There are no control buttons to change the soundtrack or control the volume but that’s not a problem. 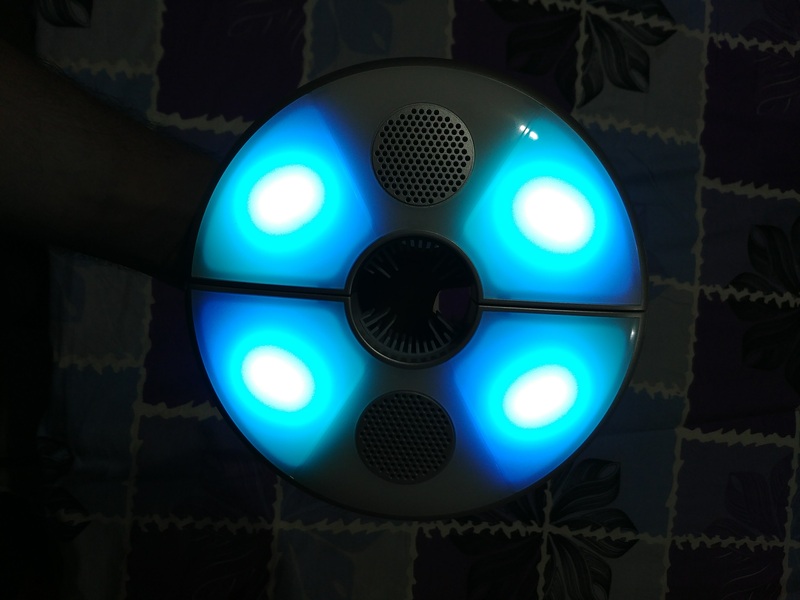 One of the unique feature and the selling point of this Bluetooth speaker is its ability to use it as a party light in a small room and even as a night lamp. During our music playback, we were able to spot 7 different colors in the light and we have attached the images below. There is a clicky switch right near the power button by which you can set the lighting to Party Mode, Night Light and Off. Isn’t it awesome. Kingso Umbrella Light Bluetooth Speaker comes with 4000mAh capacity of Lithium-Ion Battery. 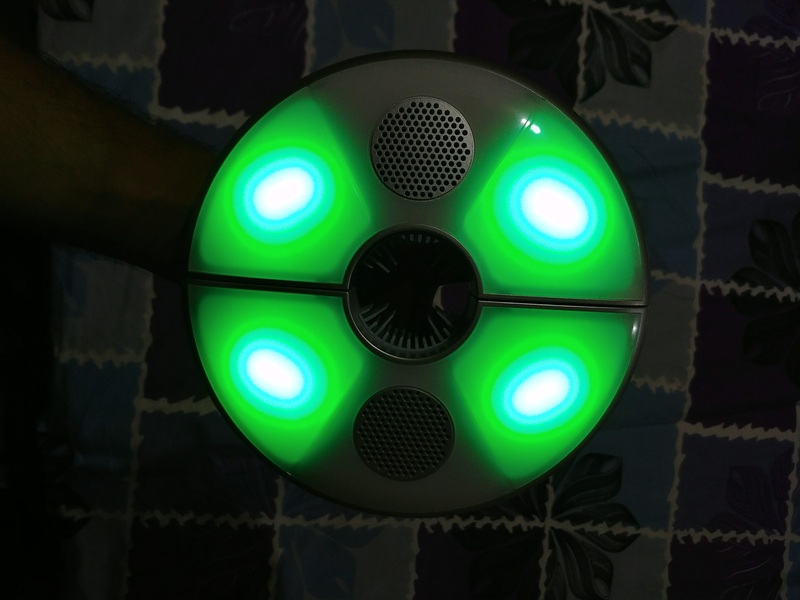 Despite having dual speakers and LED Lights it can easily get up to 4-6 hours of playback time. The battery can be charged back within 4 hours. It has a micro-USB charging port with 5V 1Amp input. Hence you can easily find a cable and a power adapter anywhere. The fact that this speaker can be used to charge your mobile device, tablet or any other gadget via micro USB cable is a plus point. 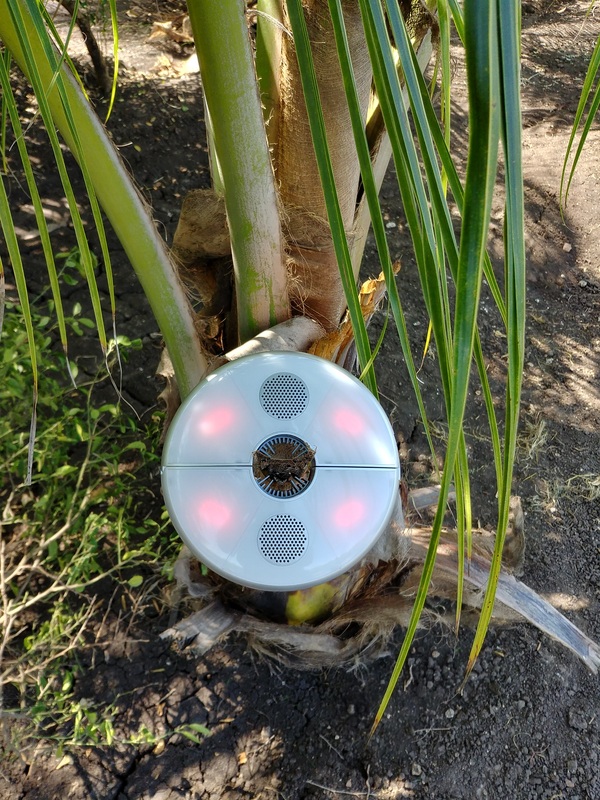 So that was all about the best Bluetooth speaker – Kingso Umbrella Light and if you want to know anything else about the speaker, drop it in the comment section below. We will be glad to answer your questions.